Urban Adventure League loot in the Mail! In another epoch, I used to receive cool things in the mail on a semi-regular basis: magazine or comic subscriptions, letters from friends and relatives, mail order catalogues, etc. Sadly, as time passes more and more of this has moved online. Even unpleasant mail such as bills mostly routes itself to me through the shiny plumbing of the internet. The electronic convenience is nice, of course, but it is still particularly fun to receive an actual physical object that has traveled a distance replete with stamps and postal marks. Earlier this week I received an envelope from Portland’s wool mantled, retro-grouch blogger Shawn Granton of Urban Adventure League. 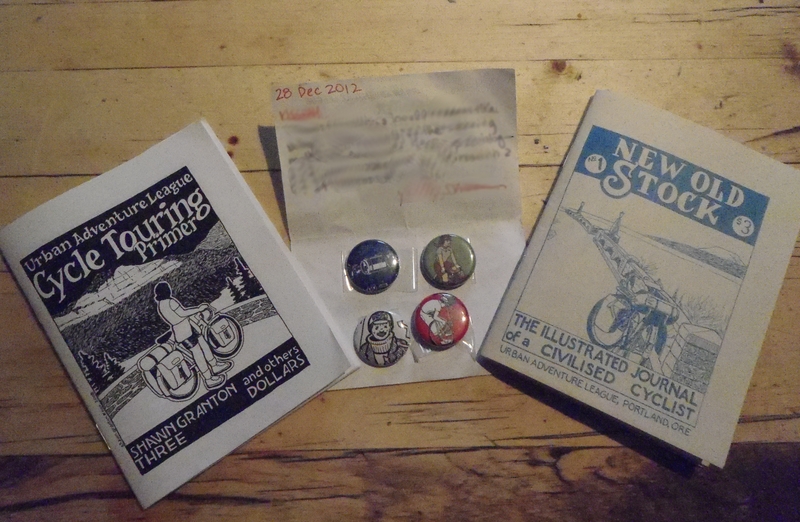 Back in December he ran a giveaway contest on his blog and I was the lucky winner of two zines and three buttons. A nice selection of stamps. Any reader of my blog will see the suitability of the cycling stamps, the bridge and the the grasslands. The lamp is eerie, though, as I don’t see how anyone would know that I considered learning stained glass making a few years ago. Could Shawn be a PSYCHIC retro-grouch? The New Old Stock is a collection of his comix illustrating the life of a civilized cyclist. 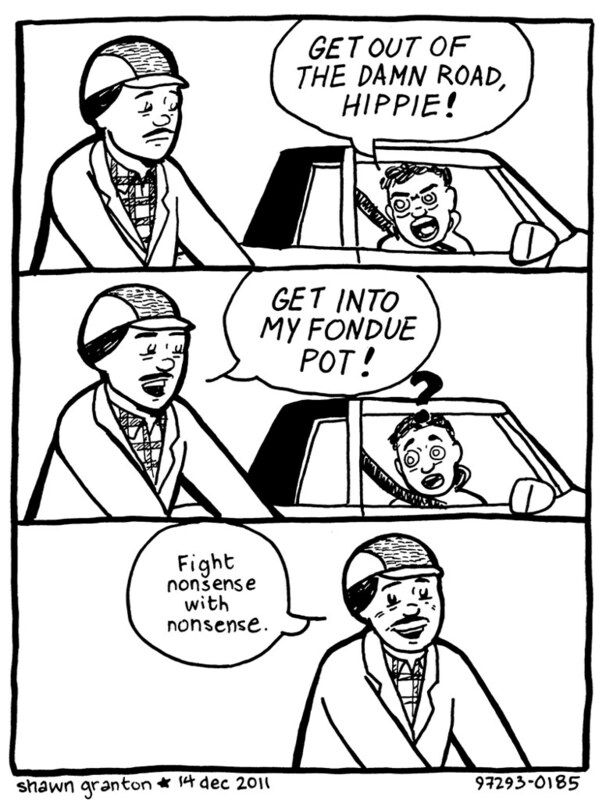 There’s lots of good stuff here, including nifty bike illustrations and non-pretentious commentary on bike culture from America’s cycling mecca, Portland. This is one of my favourites. Check his blog for more. He’s also an accomplished at bicycle touring. 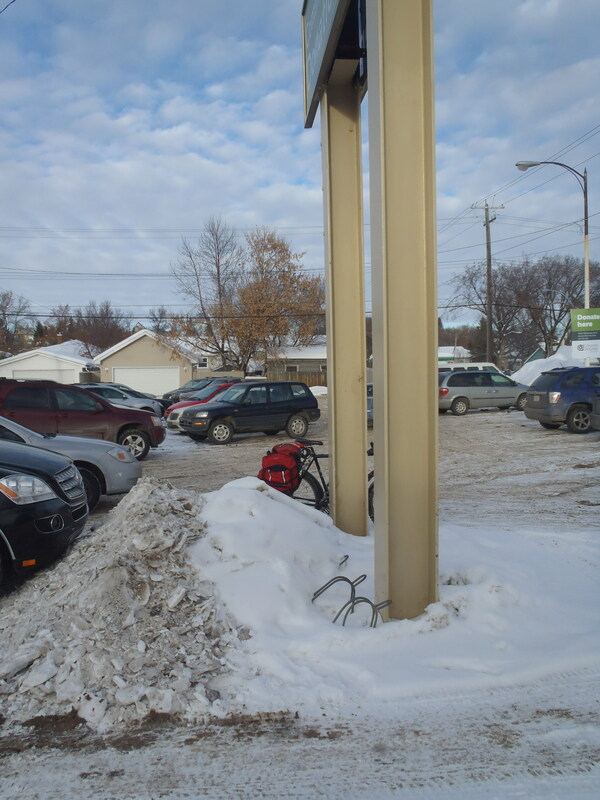 This is how I first became aware of his blog, as he stopped here in Edmonton during his Cross Continental bike tour in 2011. 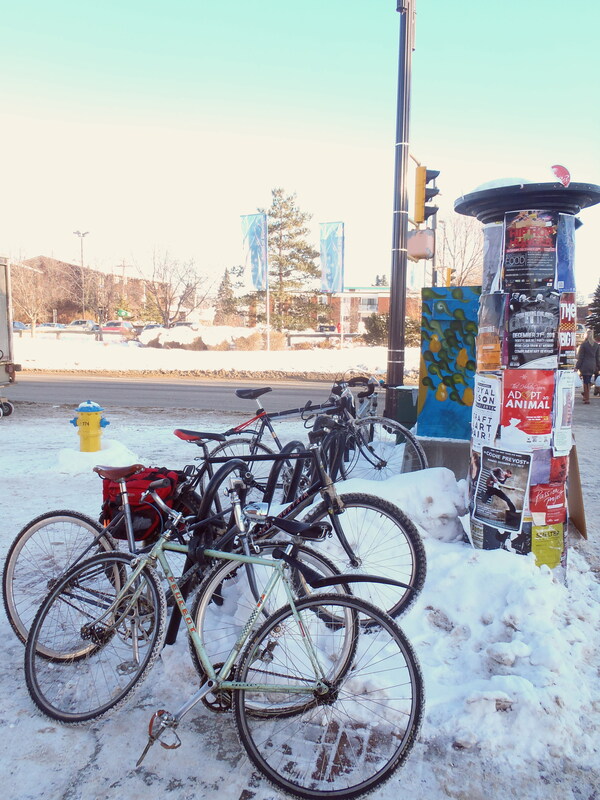 The Cycling Touring Primer is a nicely condensed introduction for the novice bike tourist. It’s full of good advice and reading it increased my frustration at not getting my act together and hitting the road myself. 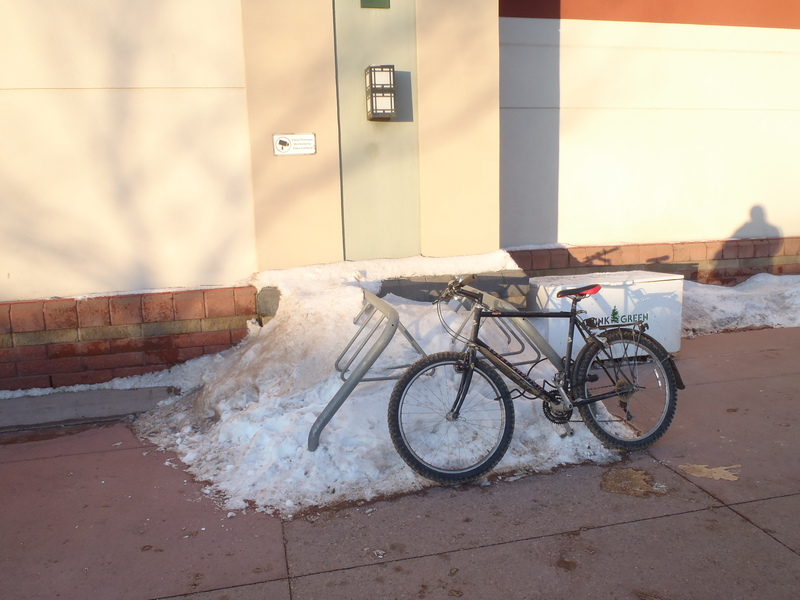 After all, that’s why I bought the ’83 Nishiki Continental two years ago. 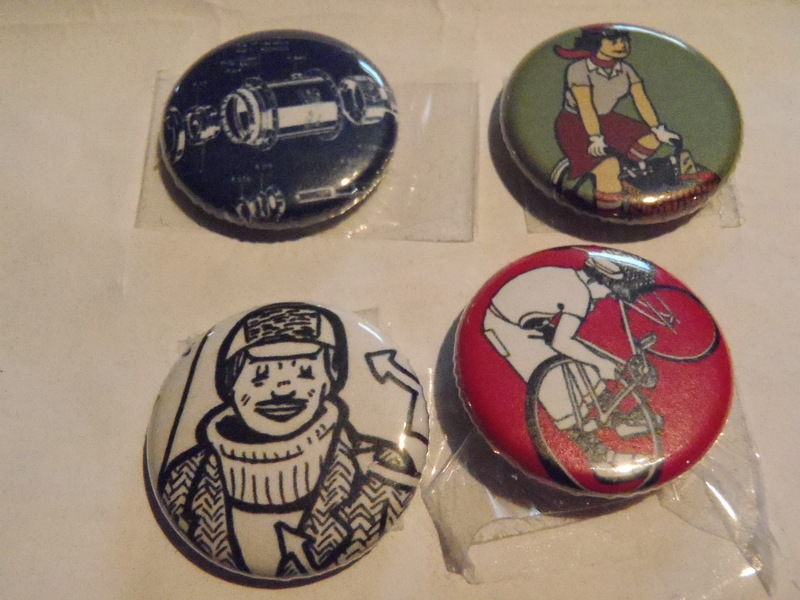 From the selection of buttons at his store I chose two mechanically themed ones (’cause I like wrenching bikes) and one of a woman cycling (’cause I’m a sucker for a dame on a classy bike). He also added a fourth button that I eventually realized is a detail from his illustration of himself in winter cycling garb (Portland style, that is. Edmonton requires sterner measures). 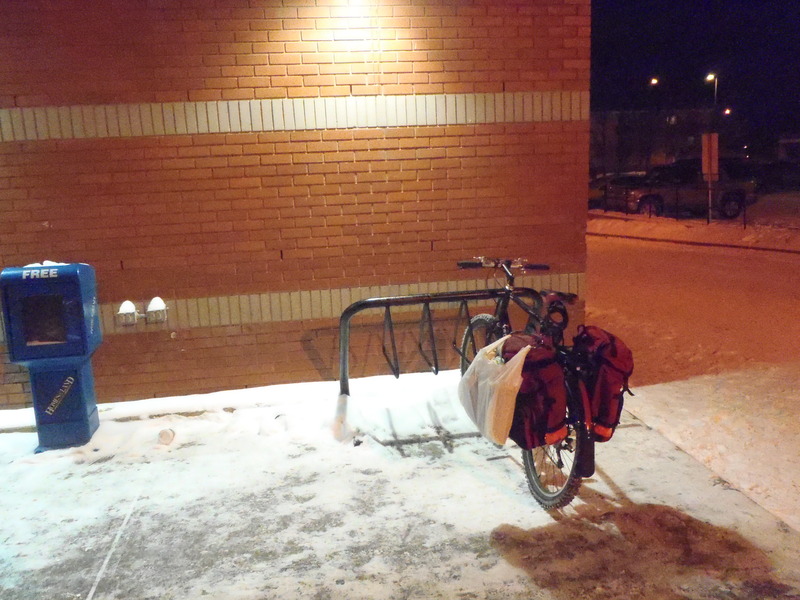 I appreciate that one as I am in full winter cycling mode at this time. 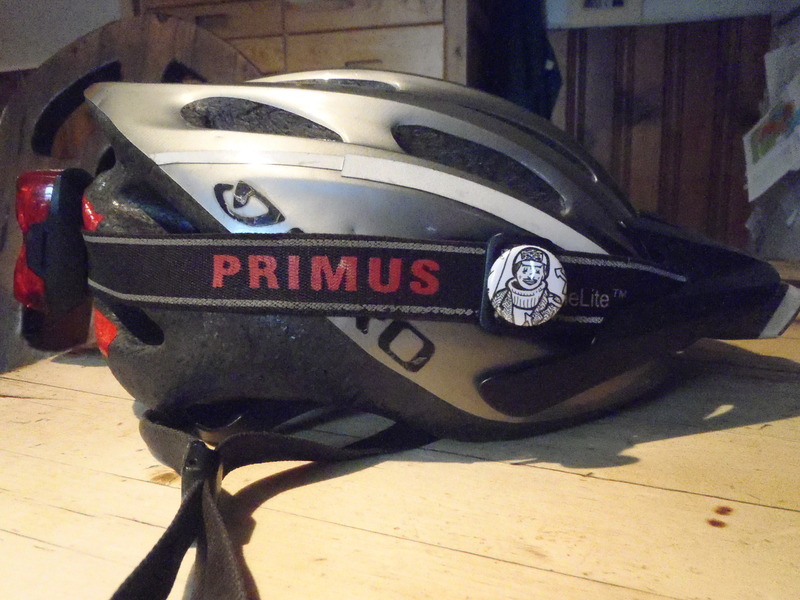 I have a general policy of not bedecking my actual cycling gear with bike buttons or badges. I feel that the cycling equipment is sufficiently bikey as it is and I tend to put the buttons on things I wear off the bike. However, since I don’t feel like poking holes in the Gore-Tex jacket I’m using right now ($8.00 at Value Village!!!) I’m wearing the Winter Cyclist pin on my helmet. Thanks Shawn!